God I love old furniture! I absolutely love the shapes of all of these pieces and would happily buy any or all of them and paint them white. 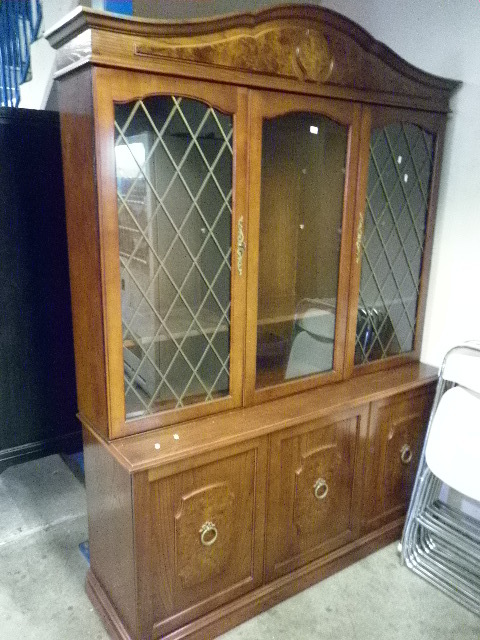 This beautiful French cabinet caught my eye immediately. It is screaming out for white paint or even a beautiful French grey. 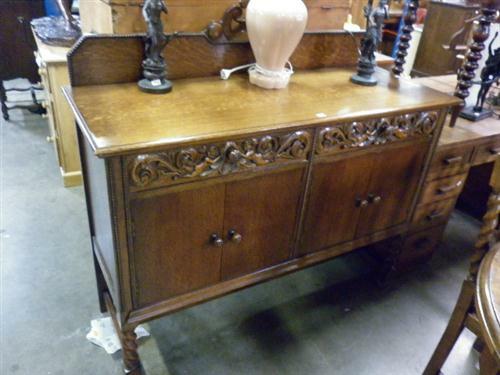 This Jacobean sideboard has beautiful mouldings and I'd either remove the back board or add a moulding to it. You know I love a good sideboard! This cute little cabinet is already painted white! 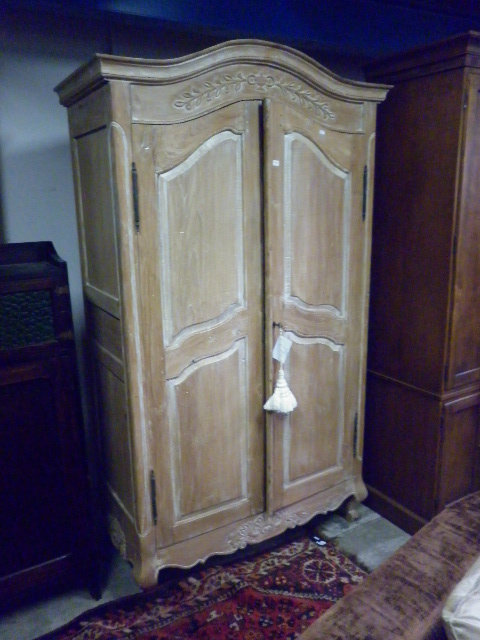 It has a very similar shape to my french armoire. And wow how beautiful is this armoire. Be still my beating heart. Even the tassel is beautiful. Actually I can't quite believe I won't be buying this. Gorgeous drawers below. Love the mouldings. Why do people buy new made in China or Vietman furniture from big shops for a fortune when you can buy vintage furniture that is so well made for a fraction of the price? 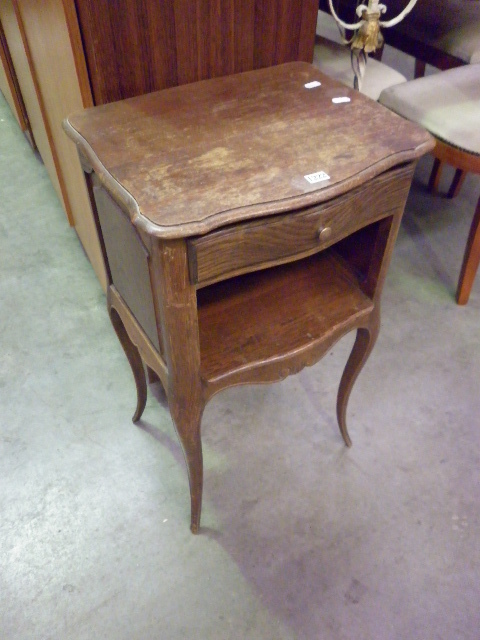 and this stunning desk - It would look so beautiful painted white with the top refinished and left wooden. 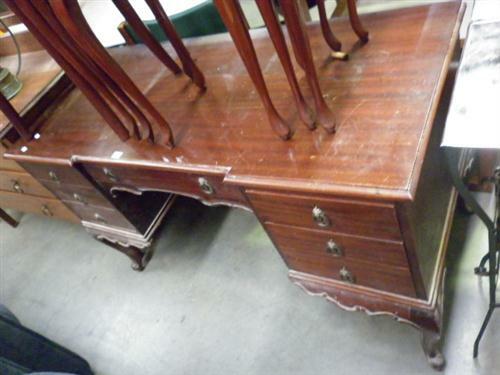 Look at the beautiful shape of those drawers and feet. If you are ever looking for a specific piece let me know and I can keep an eye out for you. HI Fiona why on earth would one buy their furniture anywhere else? Just wondering what you think that amoire is worth. I too would love that but have no room for it. I NEED to come down with my trailer and visit Lawsons I think! divine furniture Fiona, you have a good eye. I want to join you one day at Lawsons. it looks a treasure trove. have a wonderful trip. I'll be looking out for photos! Wow Fiona, so many beautiful pieces, I love how you share your selections with us. keep it up please! 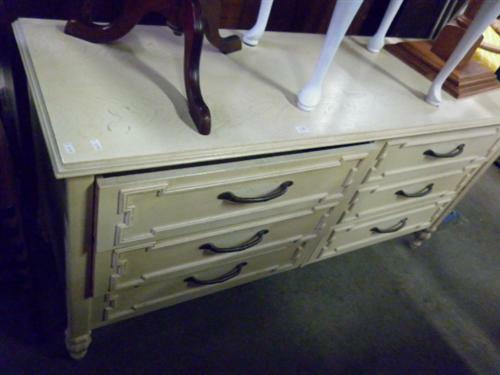 ALl of these are really lovely, but I love the sideboard with the mouldings. One day in my dream shop I will have pieces just like these! WOW... i can visualise great things for all these pieces...just exquisite. GREAT! thanks for sharing. that armoire (1064) is my absolute fave! looked for it but couldn't find it - also would love to know how much they go for at Lawsons. Arghhh! And here I am all the way in Canada! I just love what I see here. I have always been of the opinion that new furniture is a complete waste of creativity and money. Most of what I have in my house has been purchased second-hand, bought in garage sales and some things have even come from the garbage! But alas, blogger friend, I do not have your eye! 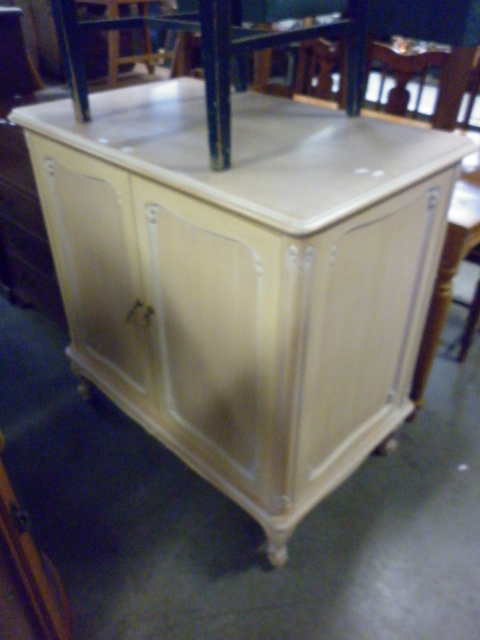 Last year I bought a French provincial inspired China hutch, dinning room table and chairs. They are not antique, are about 50 years old, but in relatively good shape, and I would love to have the courage to paint them. I am just not sure I have the ability to do so. After seeing your beautiful creations though I am trying hard to muster up my hootspa! You are such an inspiration!